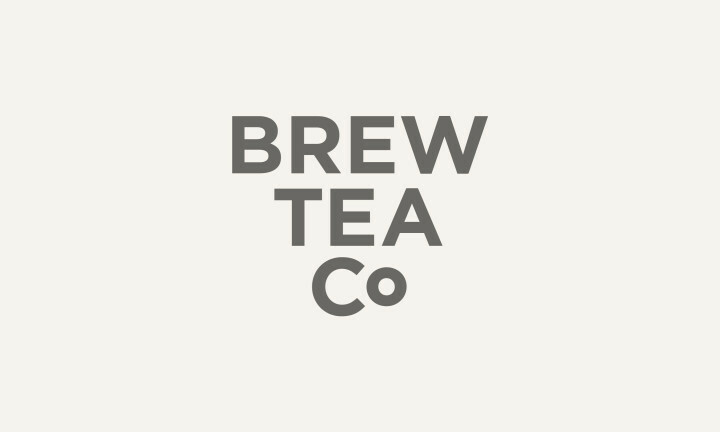 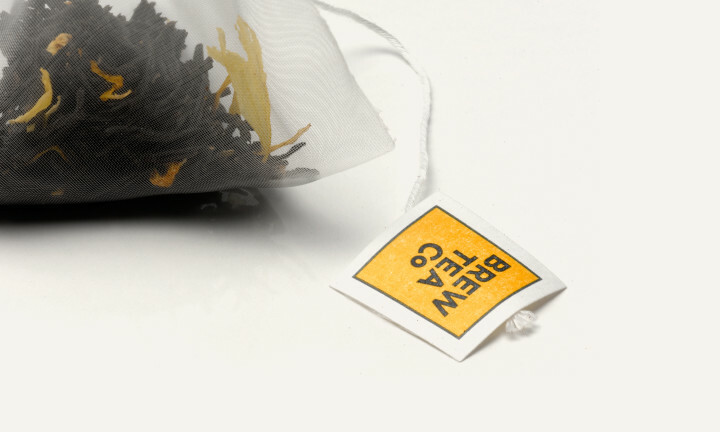 Brew Tea Co were looking to expand into the retail sector, having firmly established themselves supplying tea wholesale to independent shops, museums, galleries and boutique hotels. 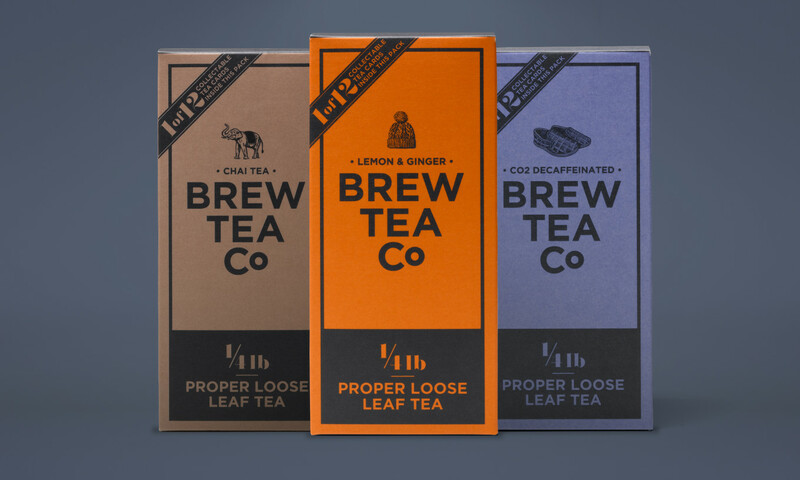 The rebrand needed to coincide with this new direction, and also to clarify their offer: not complicated tea or weird tea, but better tea. 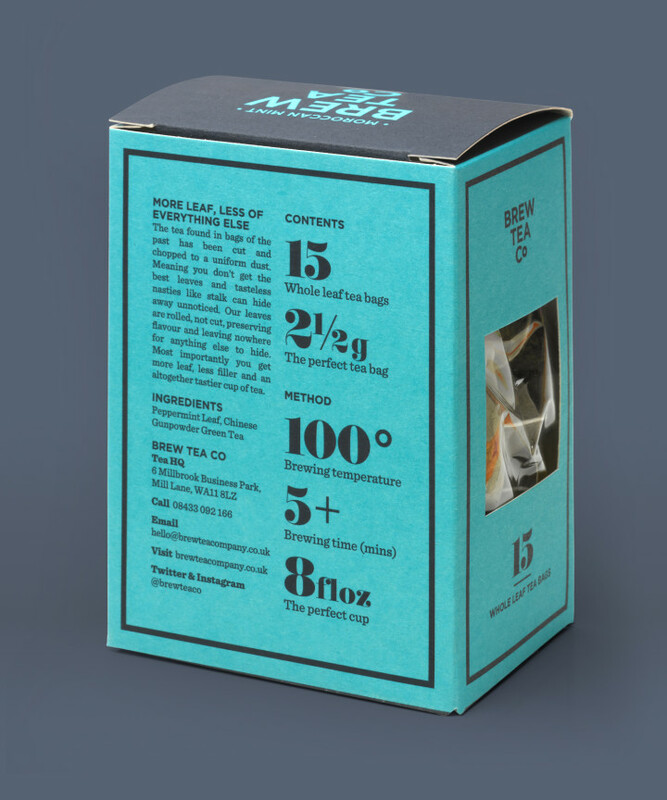 We wanted to express this no-nonsense approach, but also covey their enthusiasm and passion for brewing the perfect cup of tea that quickly became apparent during the familiarisation process. 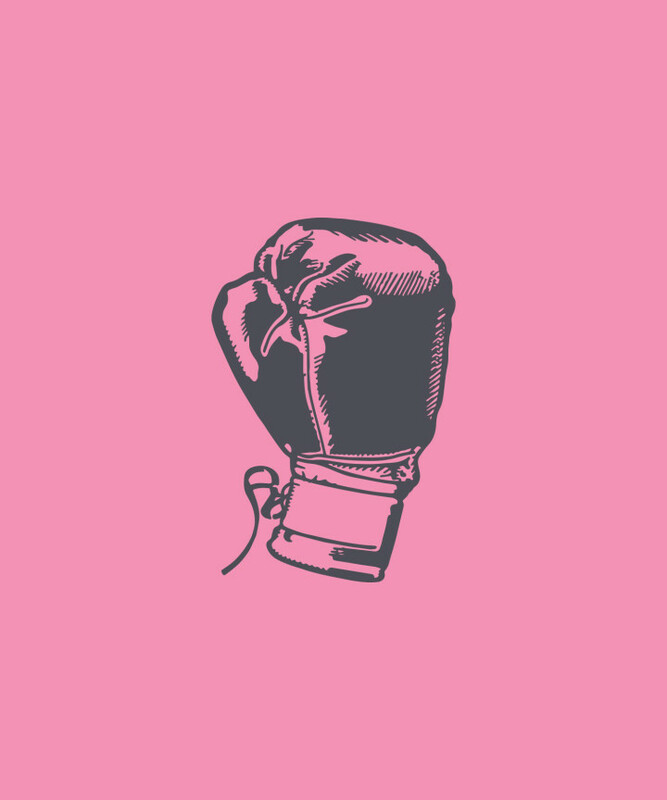 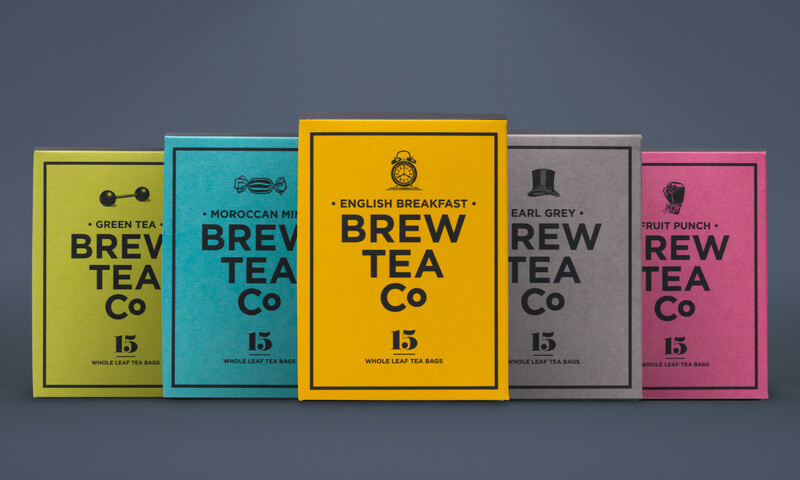 Bold, confident typography is offset by a vibrant palette and playful, unexpected icons to denote the eight flavours. 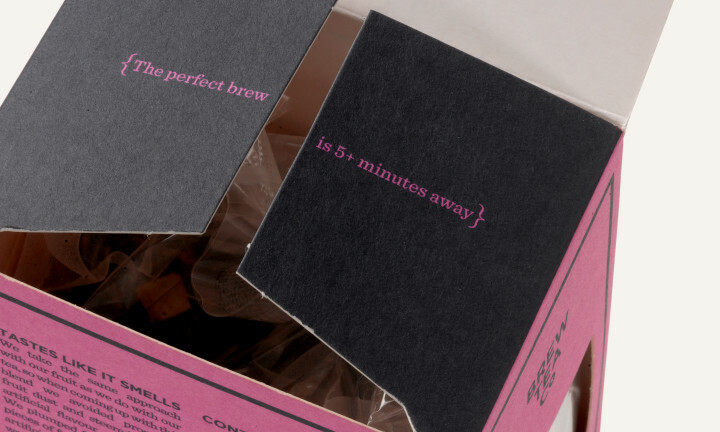 The carefully selected contents were brought to the fore on the back of the pack along with the method for brewing the perfect cuppa. 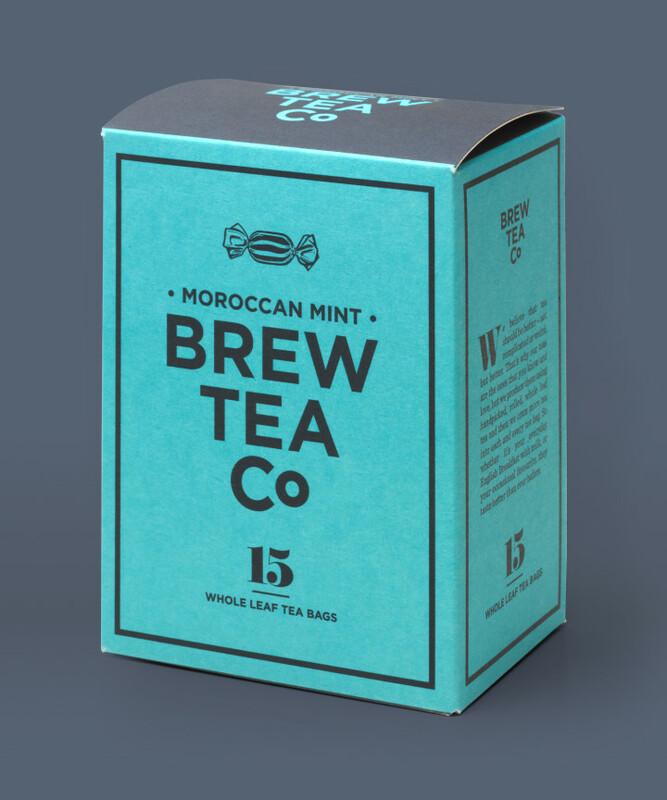 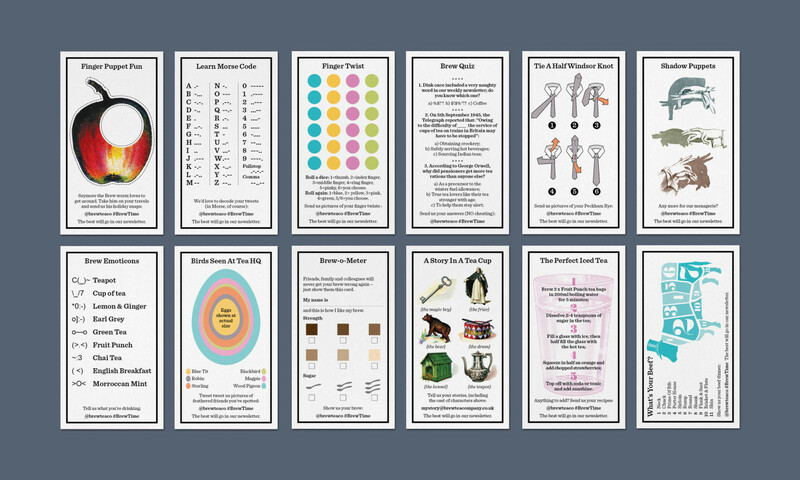 The traditional tea card has been resurrected for the retail boxes, with series one consisting of a collectable set of 12 and more series to follow. 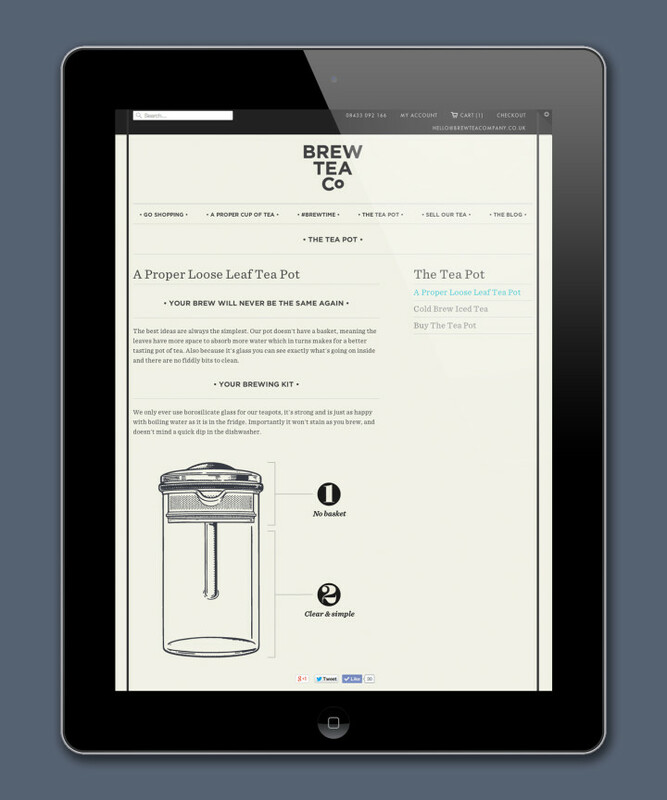 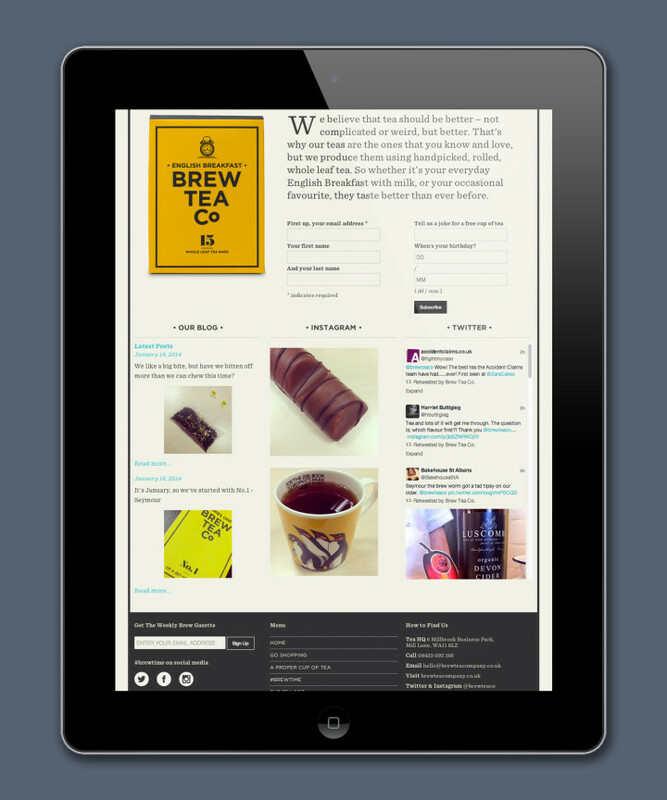 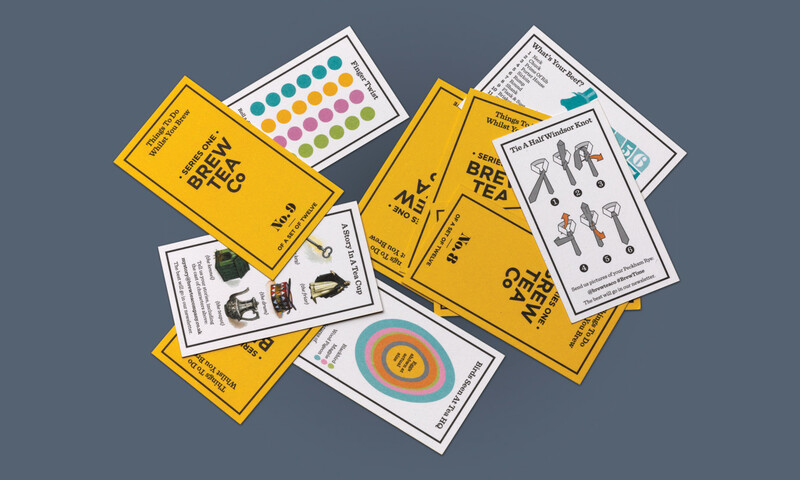 The cards all feature activities to keep you occupied whilst brewing and a prompt to connect and share with Brew via social media. 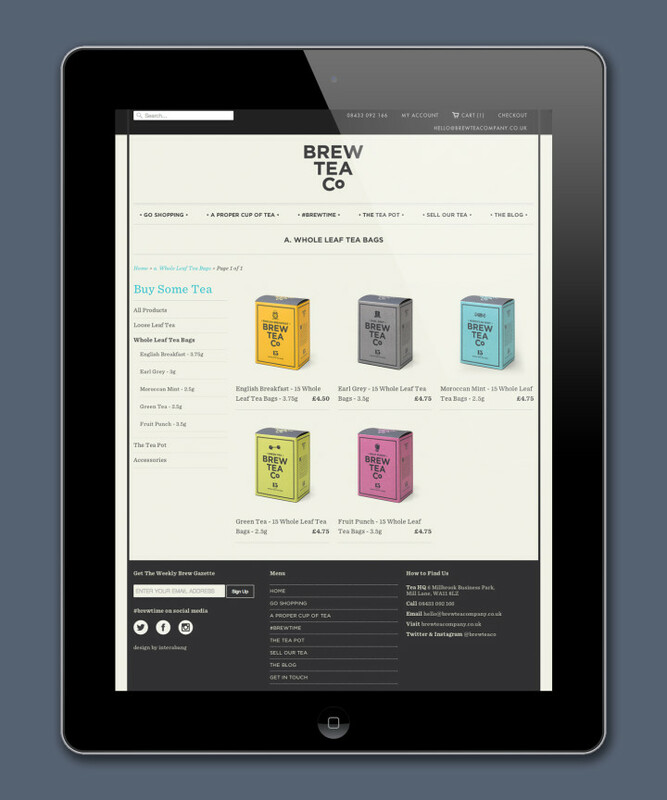 Stocked in Waitrose, Occado and Booths within first six months of launch. 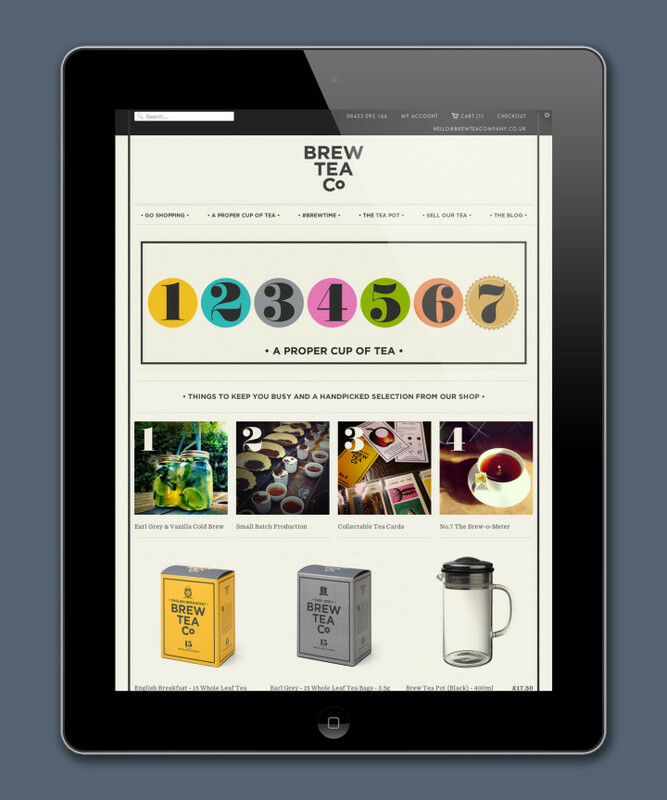 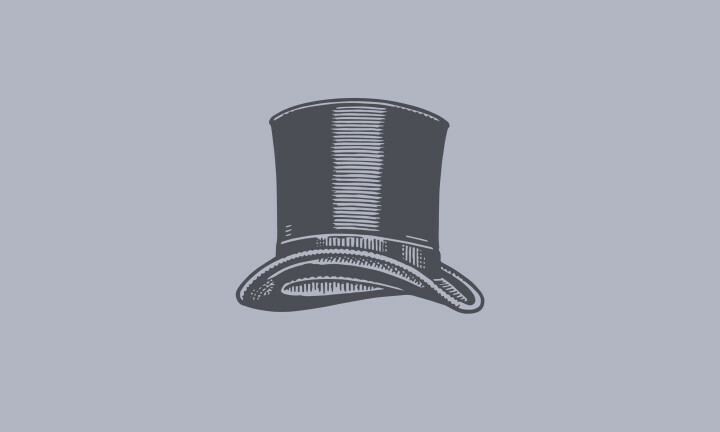 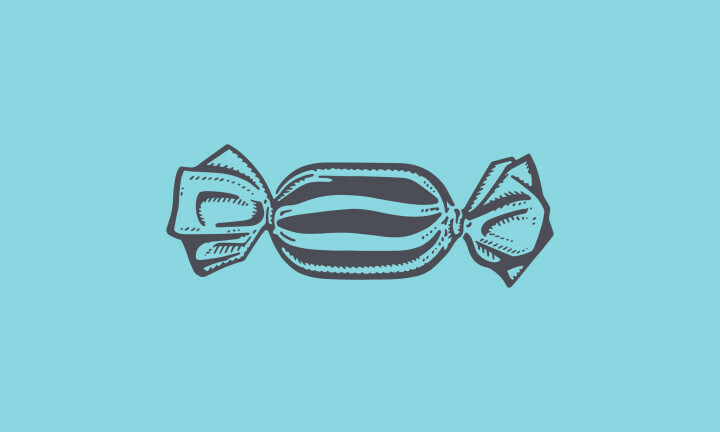 Online sales increased 300% on site launch.